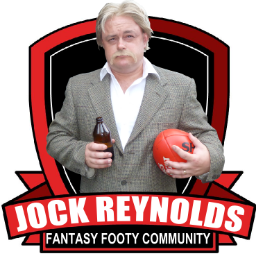 In the various Fantasy Footy workshops that I have facilitated I draw a parallel between selection of premium players for your Supercoach team and the selection of a wife. You want to be completely sure of getting this right to avoid the possibility of a messy and expensive trade. I like to see several seasons of proven predictable scoring in different conditions before I consider a player for a premium position in my starting 18. I learnt that lesson a few seasons back when my wife Narelle left me. Why? She wasn’t able to fulfill the required duel position situation of playing second fiddle to my pasion for fantasy footy. So do your homework kids. Make sure your premium players have served their apprenticeships. Enjoy the first version of my Supercoach 2012 Premium Lock Cheat Sheet. You’ll find more research on the matter in the Jock’s Locks section of the site. also be sure to catch the latest podcast which Higgo, Crouching Tiger and I are cranking out every week. Old cliche that Goodes starts slow. Last year had 110+ in 5 of the first 7 games he played… if thats slow I will take it. Swans start with EASY draw, lock! Gday there Daniels, thanks for visiting mate! He averaged 92.2 in his first 5 games last year and then 124.2 in his last 5 games of the regular season. Similar trend in 2010 – spose it depends on which way you look at the stats. Also 110+ in only 4 of the first 7 unless you are counting the NAB cup? Good point about the calming of the sling tackle mate. Surely the big fella will have learnt his lesson. And maybe the AFL will also calm down on the rule after having drummed in in so hard last year.. Correct! Our man kosi was stiff, too. should i keep tom mitchell or get some1 else???? I don’t even know the way I ended up here, but I believed this publish was good. I don’t recognize who you might be but certainly you’re going to a famous blogger when you are not already. Cheers!